With the rise of mobile scanning devices, everyone can now scan a document into an image, and save it for further use. However, the text that is trapped inside scanned images in formats such as jpg, png, tiff, etc. can not easily be recovered. A special optical character recognition technology is needed to be able to make that text reusable and editable. 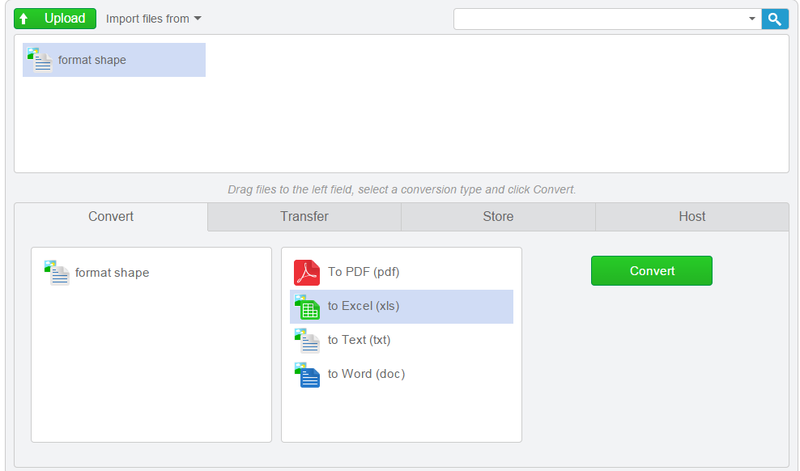 Having that in mind, Cometdocs has implemented new conversion types, which enable users to convert images into text, Word or Excel format. The conversion quality is high, and the recognition technology is one of the best available on the market. Keep in mind that the quality of conversion will depend on the clearness of the text in the image. So if the image is blurry and the symbols are barely visible, no recognition engine will be able to accurately convert them. Also if you used the mobile scanned for scanning, make sure that the document was in a straight position, without being sidelined. The supported image formats are jpg, jpeg, png, tiff and gif. The conversion process is the same, simply upload the image into Clipboard. Drag it into the Convert tab, and after that choose one of the offered formats. The options for formats are txt, docx and xlsx. And that is it! Feel free to let us know how you like this new conversion format and stay tuned for more changes.